Kemba had gone on about what an excellent shooter Maya is, better than him, he insisted. Maya had gone on about how nobody else in the country can create plays like Kemba, draw defenders and still knock down huge shots. When asked about how big Moore is at UConn, Kemba produced the money quote. 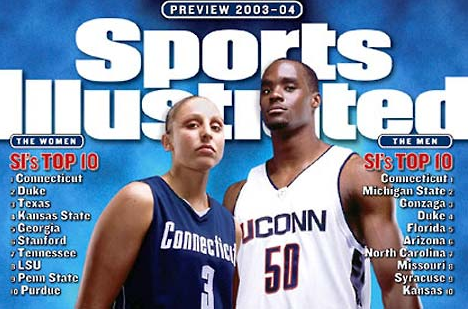 As the two UConn programs continue on the path that, one hopes, leads to another dual championship in Storrs, I'm reminded of the stars that led the 2004 teams.